Discussion in 'News' started by WVaBuckeye, Jan 8, 2016. It’s truly amazing how differently you see a season through the “what might have been” glasses versus the “once in a lifetime experience” glasses. The RSB the week after Sparty was something to behoild for sure but wasn’t anywhere near what the fans in Sparty tBBC Fans Interact had to say. Two games later and nice wins against two premiere (well, one and a half) programs can exorcise a lot of demons for the season. It still leaves a sour taste in your mouth knowing that the Buckeyes were the best team in CF this season. Let’s get rolling with the very good. If you truly sit back and take in what Ezekiel Elliott has done the last two season’s the only thing that Archie Griffin tops him in is winning the Heisman twice. Granted, that’s a pretty big difference in the awards category but Ezekiel topped those numbers in rushing carries, TD’s, average yards per carry (AYPC) and total yardage. Archie’s Sophomore year set him up for his first award because back then they refused to give to someone who wasn’t a senior and it was almost unheard of for Juniors to win it which Archie did. If there wasn’t bias in those days, Archie may have been a three time winner! Ezekiel will go down as the best running back to play in Columbus in a lot of peoples minds, and even though it may be blasphemous to put him over the legendary Archie Griffin? It makes a lot of sense, given what he did on the biggest stages. This was a season that we all knew with the play-calling issues and with the indecision at the QB starter, Zeke was going to have to be the work horse. Look at it from just this perspective and you will appreciate him even more. In two less games he had just 11 less carries, 200 fewer yards and his AYPC was only a half a yard less! ( 2014 15 Games – Yards 1,878; Carries 273; AYPC 6.9; TD’s 18; 2015 13 Games Yards 1,672; Carries 262; AYPC 6.4; TD’s 19). He was definitely the story of the year for the Buckeyes and cemented his status as a true legend during Urban Meyers most successful run so far. Scott – Zeke. He showed why he is one of the best-ever to carry the ball for Ohio State. He can’t be stopped and can barely be contained. Ken – Ezekiel Elliott, just a superb all-around football player. Michael – Zeke Elliott. Just ran over Notre Dame and everyone all season. 4 TDs in the Fiesta Bowl, and loved the Bosa shrug on the last one. JC – Zeke! 149 yards & 4 TD’s; who in the world else could it be? Brandon – Ezekiel Elliott. I am still shocked he did not win the MVP award. It was getting dicey early when they weren’t feeding him the ball but the coaching staff came to their senses and let the beast loose for four touchdowns. The primary topic in the bad all season has been play-calling and this final edition won’t be any different. The only reason the Buckeyes were wondering about what might have been is because the play-calling was atrocious in the MSU game, and at home. It opened a lot of peoples eyes to the fact that it may not have been Cardale after all. But when you don’t give the football to the aforementioned star in Rumblin’, you are doomed to fail. There’s a very good reason for why moving Warinner to the press box worked. He truly has a better grasp of what needs to be done. The slobs really enjoyed run blocking so much that they flat out laid people out when they did. Tim Beck was given an opportunity to call plays in games that it was going to be fairly easy to pass against the defense. The issue ended up compounding itself because J.T. came in a couple times and moved the sticks. Hopefully, next season will be a wide-open affair with the different weapons that will be available! Scott – B1G football teams. The league can’t go back to the Big 2 and little however many else there are. Teams need to step it up. Ken – Ohio State’s performance against Michigan State. Oh, what might have been. Michael – College Football Playoffs being on New Year’s Eve. Ratings were way way down from last year. If that continues they won’t be on New Year’s Eve again. JC – The Buckeyes inability to generate “anything” against MSU. But – overall – the lackluster performances offensively all year – up to this point. The slow starts were consistently threatening the victories they did get. Though, that lone loss did bring them back together. The education was costly, but …. Brandon – Bowl Season. There were some great games but it really seemed like there were way more blowouts than in seasons past. I am going to jump onto the staff bandwagon here and let them do most of the talking. All have very good points and I am in agreement with all of them,! The CFP committee and the bowl situation as a whole needs a little reorganizing. There’s no quick answer and we will have to live thru at-least two more seasons of this unless the NCAA decides to wield it’s power and step in. At the very least, a reduction in regular season games by one, mandatory conf championship games and taking the five power champions along with the next best at large removes a need for the committee! Scott- Playoff situation. While nobody knew there would be a pair of blowouts I think OSU and Stanford showed they belonged. Maybe it shouldn’t be so cut and dry as picking conference champs. Maybe the rankings shouldn’t be released until the final set comes out. Ken – Bowl Season in general. Did anyone really give a damn about the 18 bowl games that were played before December 28th? Michael – College Football Playoff committee. They need to change their mind set. Sometimes the best team isn’t the one who wins the conference. Both playoff games were routs and hard to watch. JC – I am not in-sync with the CFP’s rationale either. All the Bowl games, too was an overkill. Having the playoff games on New Year’s Eve, too, was inane. But the biggest bumbling of the year in my mind was Harbaugh’s “brilliant” decision to punt vs. MSU. I loved it at the time … but had TTUN won that game – what would’ve been? Brandon – Bowl Selection Committees. Look, there are 517 bowl games and they are not going away anytime soon. They are just a huge moneymaker for all of these sponsors and television channels so you can’t expect them to get rid of a game because two teams stink. These committees do need to do a better job of matching up teams. Let’s not let feelings get in the way of the best match-ups. Ten out of ten fans would have picked Ohio State to face Stanford in the Rose Bowl. 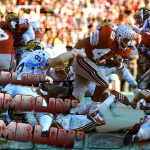 The post TBBC Rumblin’, Stumblin’, Bumblin': Post Season Thoughts appeared first on The Buckeye Battle Cry: Ohio State News and Commentary.